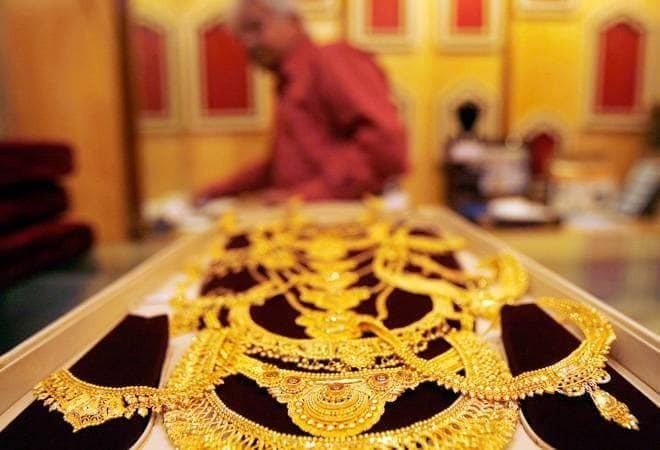 Shares of PC Jeweller rallied over 16 per cent in intraday trade on Monday after foreign portfolio investor (FPIs) acquired more than 2 per cent stake in the company through the open market transaction. The New Delhi-based jeweller's stock has been on a gaining spree and surged over 40 per cent in the last four trading sessions after Carlina bought 0.37 crore equity shares, or 0.94 per cent stake, in the company at price of Rs 94.68 per share on the NSE on April 10. The FPI further extended its stake in the company by acquiring another 0.46 crore equity shares, representing 1.2 per cent stake, in PC Jeweller at a price of Rs 105.73 apiece. Extending its previous session rally, shares of jewellery manufacturer gained as much as 16.56 per cent to touch an intra-day high of Rs 130.50 on the Bombay Stock Exchange. The stock opened higher at Rs 115.40 against previous close level of Rs 111.95. There was surge in volume trade with as much as 71.83 lakh shares changing hands on the BSE as compared to two-week average of 22.13 lakh shares. In a similar trend, stocks of the company were currently trading at Rs 129.50 apiece, up 15.73 per cent, on the National Stock Exchange. The scrip opened at Rs 115 and has touched an intra-day high and low of Rs 130.50 and Rs 113.65, respectively. The company has lost over 80 per cent market price in the year 2018 due to weak financial performance and liquidity concerns. On January 16, 2018, the stock touched its yearly high of 600.65 level. Since then, the stock has fallen more than 81 per cent on BSE. In the December quarter, the company reported a 15 per cent decline in its net profit at Rs 138.34 crore as compared to Rs 162.7 crore the year-ago period, mainly due to lower revenues. The company's total income fell to Rs 2,164 crore as against Rs 2,690.59 crore in the same quarter last year. The company, in its third quarter earnings report, mentioned that it was working on transformation of its business model by reducing its export turnover, which is reflected in decline of Rs 1,200 crore in the export turnover on a year-on-year basis. The company had proposed to reduce its bank exposure by Rs 500 crore during third and fourth quarter of FY19. So far, it has achieved a reduction of almost Rs 300 crore in the third quarter itself, it added. Established in 2005, PC Jeweller is the second-largest listed jewellery retailer in India. It is engaged in the business of manufacture, retail and export of jewellery.